Plastic lenses are great for prescription sunglasses due to their tint-ability factor. The lens is light weight compared to glass, and may be made in just about any prescription. Polycarbonate lenses are the most impact resistant material. 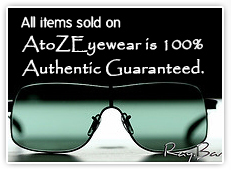 They are lightweight, have built in UV protection, and recommended for children, sports, as well as rimless frames. Originally used primarily for industrial safety glasses, they are now used for children, sports wearers, or anyone requesting greater impact resistance in their lenses. Using a higher index of refraction than plastic or polycarbonate, high prescriptions no longer mean thick chunky lenses that can only be glazed into heavy frames. Thinner and lighter in weight, these lenses also come with a built in UV protection. Sunlight is reflected or absorbed in horizontal, diagonal, or vertical directions. Polarized sunglass lenses have a laminated surface that contains only vertical stripes (think: vertical blinds), and only vertically-polarized light will be allowed to enter the person’s eyes. The glare will then be eliminated because any horizontally-polarized waves of light will not be able to bypass the polarized filter. Also known as Transition or Photochromic lenses, have a compound that becomes dark when exposed to light and made clear again by removing light. While indoors, the lens tint will lighten and allow as much light in as possible. When exposed to sunlight outdoors, transition lenses will darken depending on the direct exposure to light. It’s just that easy! They also preserve the health of the eye by blocking 100% of harmful UV rays. Polycarbonate lenses are the most impact resistant material. Sun-Sensitive Lenses are also known as Transition or Photochromic lenses, have a compound that becomes dark when exposed to light and made clear again by removing light. While indoors, the lens tint will lighten and allow as much light in as possible. When exposed to sunlight outdoors, transition lenses will darken depending on the direct exposure to light. It’s just that easy! They also preserve the health of the eye by blocking 100% of harmful UV rays. This is the thinnest technology available on the market. Experience lightness and durability like never before. Comes with Anti-Reflective coating, Scratch Resistance coating and UV protection.